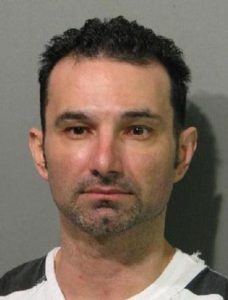 COVINGTON—A St. Tammany Parish jury found Carlos Rodriguez, 45, formerly of Kenner, guilty Friday (May 20) of first-degree murder for carrying out a plot with his girlfriend to kill her husband in 2009. After a weeklong trial, the jury deliberated 23 minutes before returning the verdict against Rodriguez, who faces life in prison. Scramuzza’s wife, Gina, pleaded guilty in 2013 and is serving a life sentence for her role in the crime. She and both accomplices—Luis Hernandez and Erly Montoya—testified against Rodriguez. Luis Hernandez refused to answer questions, but prosecutors played a statement he gave to St. Tammany Sheriff’s Office detectives after his arrest. The testimonies and recorded statements of all three painted a chilling portrait of the scheme that unfolded when Gina Scramuzza picked up Rodriguez, Hernandez, and Montoya in the parking lot of the Wal Mart in Covington on the afternoon of Feb. 27, 2009. She first stopped at her bank to withdraw $1,000—$500 for each of the accomplices—and drove them to the home she shared with her husband in Covington. Gina Scramuzza then returned to her job as a C.A.T. scan tech at East Jefferson General Hospital and left the three men in her home to wait for her husband. While waiting, Hernandez and Montoya, who said they were unaware of the murder plot and thought they were just going to burglarize the house, rounded up various electronics and other items they wanted, including even two LSU towels, embroidered with the name of the couple’s then 13-year-old son, and a pet rabbit. When Mario Scramuzza made it home, he was ambushed at gunpoint and strangled by Rodriguez, who bound Scramuzza’s hands behind his back with zip ties and strangled him with zip ties and a towel. Rodriguez’s attorney had claimed during opening remarks that his client was just using Gina Scramuzza for money but was not involved in the murder. The attorney said Rodriguez only put Gina in touch with Hernandez and Montoya to do construction work in her home. That story quickly fell apart, though, as prosecutors presented what they called a “mountain of evidence,” including the testimonies and recorded statements of Gina Scramuzza, Hernandez, Montoya, bank records, phone records, DNA evidence from beer bottles at the crime scene, GPS data that backed up the other defendants’ testimonies about their whereabouts, and even life insurance records showing that Gina Scramuzza had increased the policy on her husband. She said she had met Rodriguez and begun flirting with him the year before the crime when he brought a Spanish-speaking family member to East Jefferson hospital for a C.A.T. scan and acted as the interpreter. Rodriguez left with Gina Scramuzza’s telephone number. Over the ensuing months, she spent lavishly on him, buying him a cell phone so that they could talk secretly, a red Hummer, and giving him cash, including $3,400—$1,700 on two different occasions—to kill her husband. She said she had complained to Rodriguez that her husband was abusive and that Rodriguez had offered to help her “get rid of him.” She said Rodriguez called her after the murder to say the job was done. Rodriguez faces life in prison without the benefit of parole, probation, or suspension of sentence. Hernandez was found guilty of first degree murder in 2012 and received a life sentence. Montoya, who pled guilty to manslaughter and armed robbery with a firearm, faces between 10 years and 144 years in prison when he is sentenced at a later date by District Judge August Hand. Assistant District Attorneys Jerry Smith and Blake Peters prosecuted the case, along with Oubre.